I recently visited the Contemporary Arts Center (CAC) located in downtown Cincinnati to see a disappointing photo exhibition (part of the biannual Foto Focus event.) 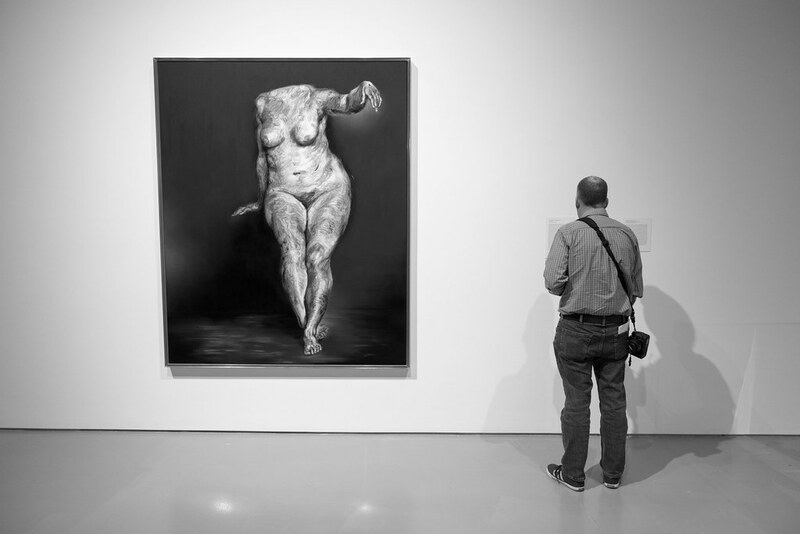 While the photos were not that interesting, I was wonderfully surprised to see an exhibition of Glenn Brown’s paintings. His swirling and flowing brush strokes were matched by brilliant colors to wonderful effect. If you are near Cinci, go see Brown’s exhibition at CAC, his artwork will be there through January 15th, 2017. While you are there, slip across the street to the Weston Gallery to see their wonderful Foto Focus exhibition. And yes, for those of you who read this blog regularly, that is my friend Jim’s bald spot proudly on display. ← The color crunches under my feet. Amy, This is the same color as the one that you liked at the link.